Any chance of a tinycam version for iPad? We have Baby Monitor for IP Camera available on iPad. We are glad to announce that tinyCam Monitor is now available to download on more than 1 million BlackBerry Playbook tablets via BlackBerry AppWorld. The PlayBook version is useless since it crashes after 30 seconds. A known and reported bug. Is there support on the PlayBook version (should be since it is a paid version)? Try to reinstall the app on BB PlayBook. We were unable to replicate the problem on PlayBook. What camera models do you have? It's a memory leak quite easily traceable when opening the application. When opening the application and parallel looking at the available memory you can see the memory leaking. When approaching zero the application crashes. The application has version number 4.3.4. Two Axis M1054 camera's are used with the latest firmware. I see at least 5 reviews in the BlackBerry World appstore referring to, it seems, the same bug. In that sense you're reply surprises me. Alexey, did you have any chance to take a look at it? Thanks in advance. Finally tinyCam Monitor 5.4 brings RTSP/H.264 codec support for Axis cameras. 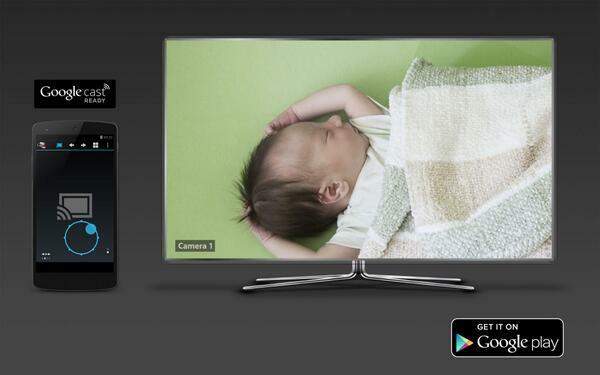 tinyCam Monitor PRO 5.6 is available at Google Play. - Cast to Android Wear. Say "OK Google. Start tinyCam Monitor" on your Android Wear device or use "Cast to Android Wear" menu item in companion app to start casting. Single tap - zoom in. Swipe to the right - select cameras. See YouTube how it works. - Tasker/Locale automation plugin for both tasks/actions and states/conditions. More info here. - RTSP over UDP (both unicast and multicast) protocols support. - 2x performance improvement for software MPEG-4/H.264 video decoder. Less battery drain. - Temporarily disarm alarms. Press on motion detection icon in the upper right corner to disarm/arm alarm. - Don't show multiple cameras if only 1 camera enabled. I have a 233D camera. Will your app list the PTZ preset names? I have an IOS app that does it but have never found an Android app that does.